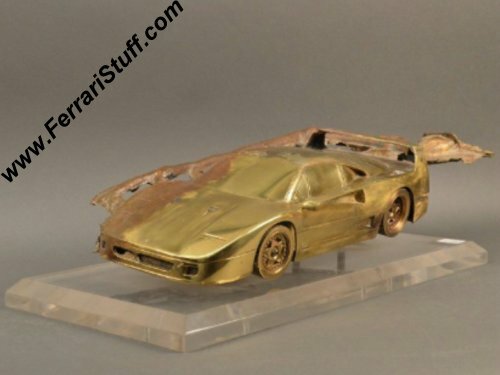 Artist proof of the Ferrari F40 sculpture by Michel Sauze. 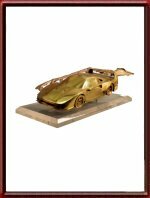 Here we have a fantastic piece of Ferrari artwork by world renowned Ferrari sculptor and collector Michel Sauze. 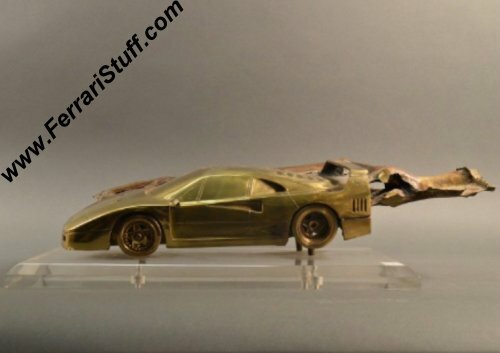 It is an artist's proof of the Ferrari F40 sculpture in "half-finished" form. Instead of an exact scale model, this is a much more artistic interpretation of the iconic F40 shape. 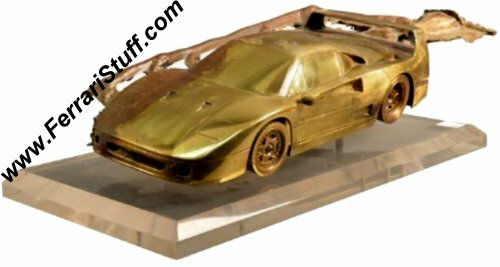 It is believed to be one of the first to have been cast in this particular mold and and one half was left exactly as it came out of that mold while the other half of the "model" was cleaned and freed of "flow out"from the casting process giving a very artistic rendering of the F40. Logically, this is much, MUCH, rarer than the regular completely finished version. It measures a good 63 x 23 cm and is some 16 cm high. In Inches that is roughly some 25 x 9 and 6.3 inches high. This piece of art is part of the, important, collection of a very good customer of ours and we have been asked to seek a new owner for it. As a consequence, the price is strictly on application through THIS LINK. Only 1 available of this model but there are more sculptures of Michael Sauze from this series available from this collection.